Can a HUG save a life? The transformative power of a hug is changing lives and shifting brand perceptions for one of the world’s largest hotel chains. With people seeking more meaningful connections with brands, Super 8’s goal was to create compelling content that could break through the clutter and connect with consumers at a deeper, more emotional level. To meet this challenge, we partnered with the Human Hug Project – a healing project created by two veterans who bring awareness to Post Traumatic Stress Disorder (PTSD) by giving love back to humanity, one hug at a time. We captured the Human Hug Project’s journey on the road and told their story through a highly emotional, immersive video and a series of social content. 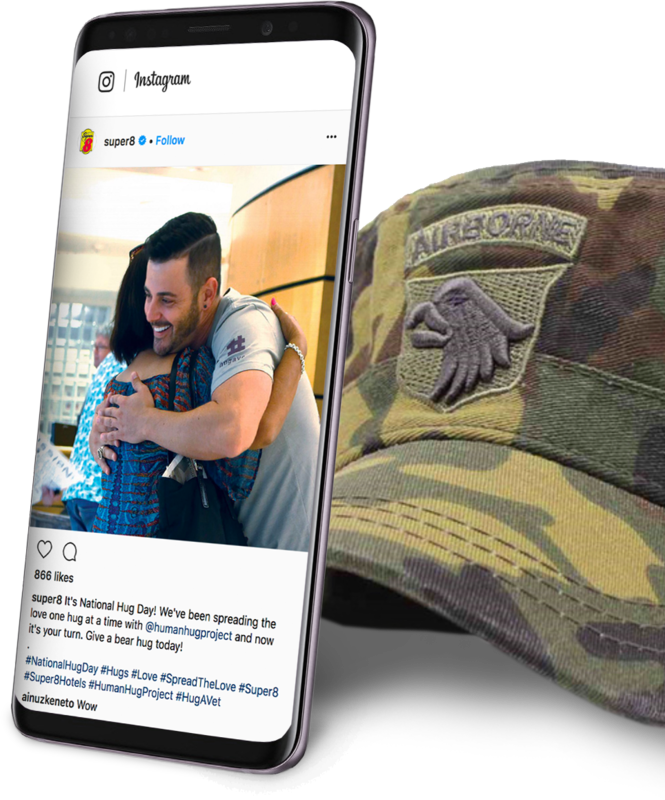 The #HeroesWelcome campaign launched in paid, owned, and earned marketing channels for Veterans Day. 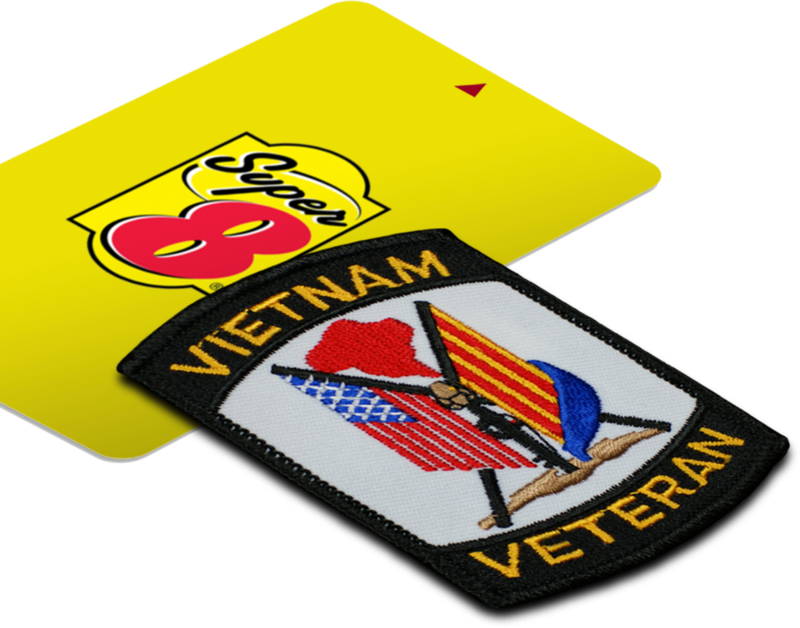 Using video and micro-content, we created an emotional connection to Super 8’s military support, as well as overall awareness and affinity for the Super 8 brand.